The Daily and Daily Law Firm is dedicated to helping our clients with personal, competent attention. 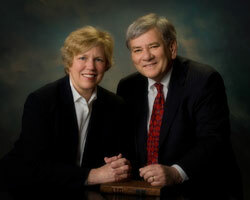 Terry and LeeAnne Daily are a husband and wife team who bring years of professional experience to their law practice. Both have been active in community service and professional pursuits outside of their law practice. They have been residents of Santa Clara County for 30 years and have raised three adult sons. Both attorneys are competent and experienced. Their primary goal is personal and caring attention to each client, with a successful completion of each legal matter.